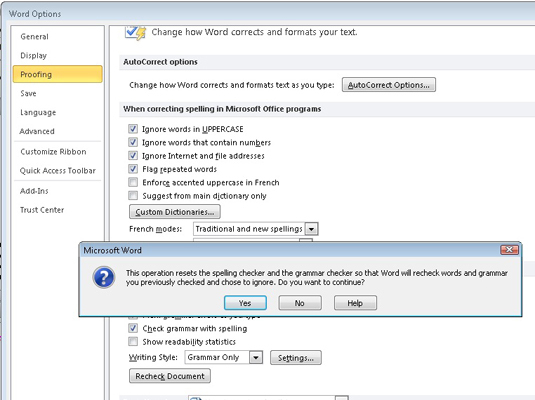 The Ignore All command in Word 2010’s spell-checker’s right-click menu can help you deal when Word wrongly identifies something as misspelled. But what if you select Ignore All and then realize the word was spelled incorrectly, after all? 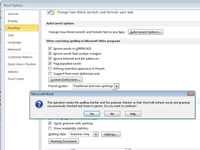 If you make a mistake and would rather have the ignored word regarded once more, Word allows you to undo the Ignore All command. 1Choose the Options command from the File tab’s menu. 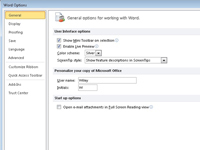 The Word Options dialog box appears. Choose Proofing on the left side of the window. 2Scroll down the right side of the window (if necessary) until you can see the Recheck Document button; click that button. A warning dialog box appears, reminding you of what you’re about to do. Everything you’ve told Word to ignore while proofing your document is now ignored. It’s the ignore-ignore command! 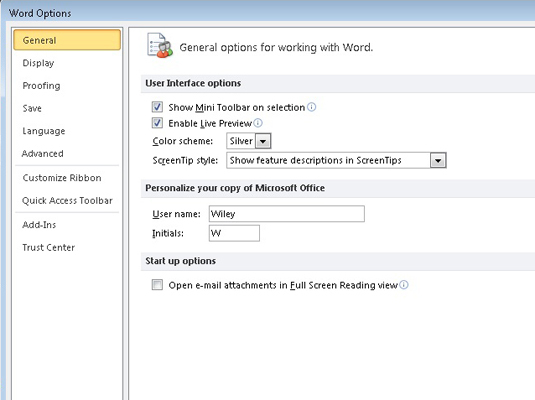 4Click the OK button to return to your document. By following these steps, you direct Word to not only un-ignore all previously ignored words but also any grammatical errors you’ve chosen to ignore. You have no way to undo this command.